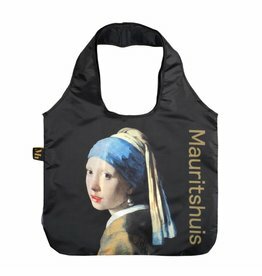 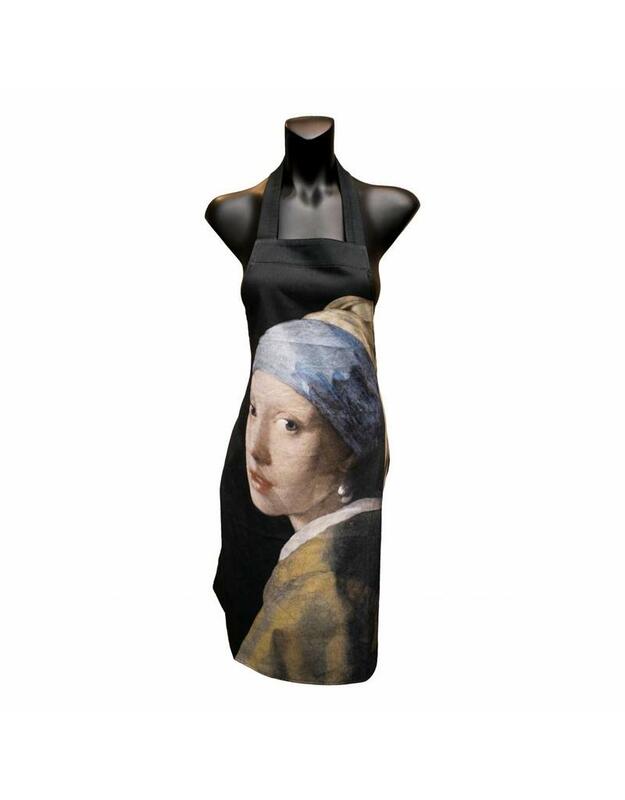 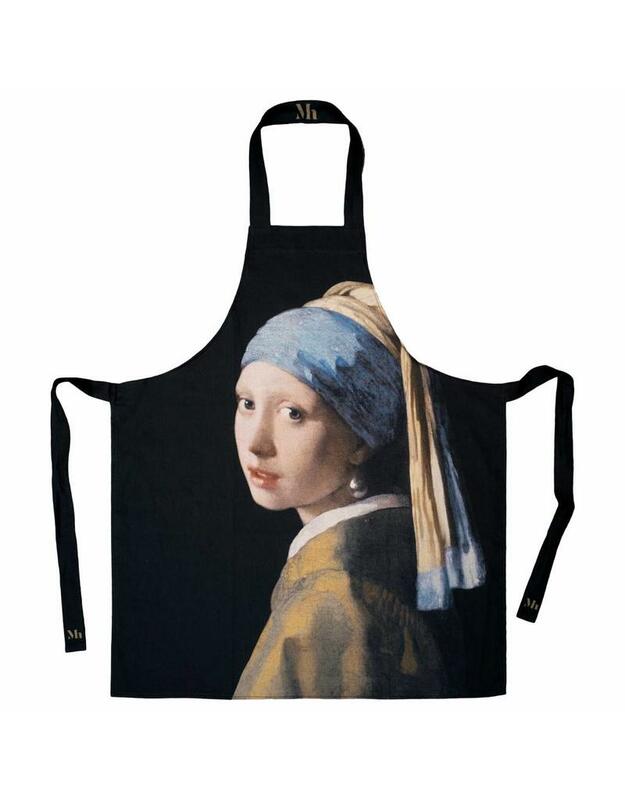 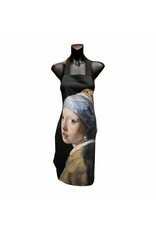 Apron made of cotton with an image of Vermeer, The Girl with a Pearl Earring. 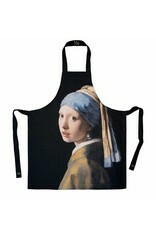 The apron has a large loop and long ribbons. 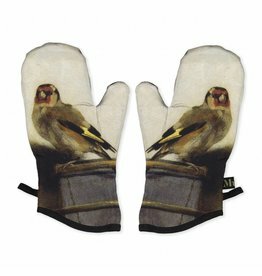 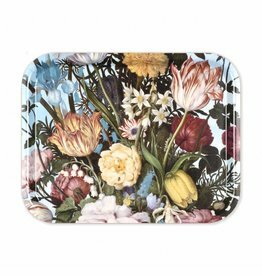 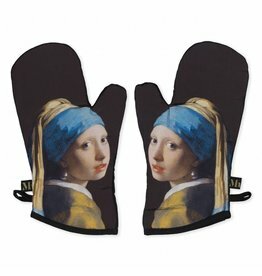 Set of two lined oven mitts with an image of Vermeer, The Girl with a Pearl Earring. 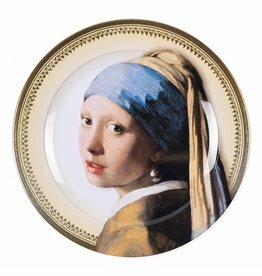 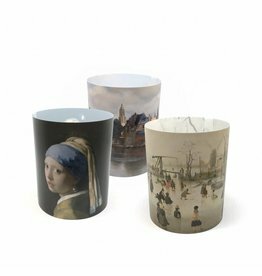 Mug with a detail of Vermeer, Girl with a pearl Earring. 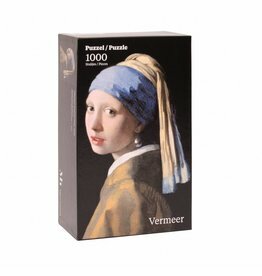 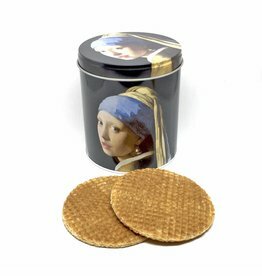 Eight syrup waffles in a sturdy tin with the image of Vermeer, The Girl with a Pearl Earring.